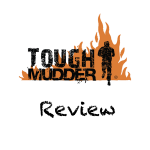 Savage Race has built a loyal fan base thanks in large part to their larger-than-life obstacles. The impressive Savage Race obstacle list includes new challenges like Holy Sheets and Battering Ram, along with perennial favorites like Davy Jones Locker and Wheel World. 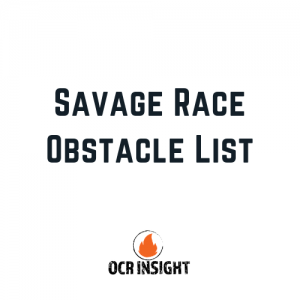 While each race is different, you can expect to see many of the same obstacles for each race every year, and we’re sure the Savage Race obstacle list will continue to grow in 2019. Below, we rank our 10 favorite tests of strength that you can expect to see at most Savage Races around the country. While our Savage Race obstacle list isn’t everything, they’re our favorites and you’re sure to love them as well. 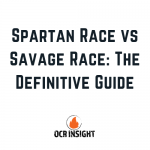 See how Savage compares to Spartan. 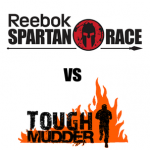 Like many other entries on this Savage Race obstacle list, Davy Jones Locker is a mental test more than a physical one. In simple terms, all you have to do is jump. In reality, you need to look down 15 feet into murky water, and have the courage to face your fears and let go. Think of monkey bars on steroids, and you have our second favorite test of strength on our Savage Race obstacle list. This also makes for one of the best picture moments you’ll encounter during the race. If you’re wearing a headband, you might want to take it off or put it around your neck before taking on this giant water slide. Face it straight, or have some fun and go head first (if they let you). Whatever you do, soak in the moment and get ready to see some pictures of yourself making a funny face ahead of hitting the water below. This is one of the most challenging entries on our Savage Race obstacle list because it requires two of the hardest things to train: grip strength and technique. To conquer this one, make sure you use some momentum and don’t take a break as you traverse a series of difficult, hanging ropes. We are putting back-to-back monsters on our Savage Race obstacle list, and Wheel World is just that. As much technique as grip strength, getting from one side to the other will test your technique, and will drop you in some water before another go if you don’t get it done right the first try. 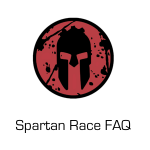 If this Savage Race obstacle list makes it seem like many of Savage Race obstacles are grip and technique intensive, well, then we’re painting an accurate picture. Battering Ram is a new obstacle, and has you traversing a long pipe by sliding across it as you hang from a slightly larger plastic pipe. Sound confusing? Maybe. But it’s a ton of fun and a welcomed challenge for veteran Savage Racers. Half-pipes aren’t just for skaters. You’ll run up one side of a quarter pipe, and go right into a half-pipe (think up-down-up).Don’t overthink this one and you’ll be fine. You’re sure to see a few people stuck in the middle of this one, but avoid them and keep your feet moving and you’ll be fine. Remember when you were a kid and you could sit on one side of a teeter-totter with a friend and go up and down? This is kind of like that, only you have to crawl up a hollow plastic tube, and wait for it to spit you out the other side when you get to the midpoint and the tube shifts down. Another new obstacle, this giant-spool of weighted rope is all burn on your quads and hammies. As you reel in the cinderblock from across the field, remember this pro tip to make things a little easier: keep your feet on the same side of the spool to generate more momentum. 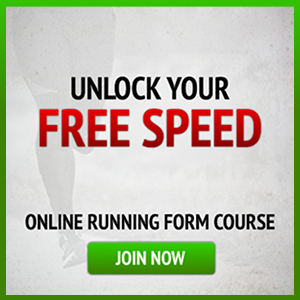 I learned this the hard way after my first race, and it made all the difference the second time I faced this obstacle. While in the moment, this “ice bath meets dunk wall” style obstacle isn’t fun, it’s one of the most talked about moment most people reference after the race. While not the most physical test of strength, you will be challenged mentally heading into and immediately after this obstacle.